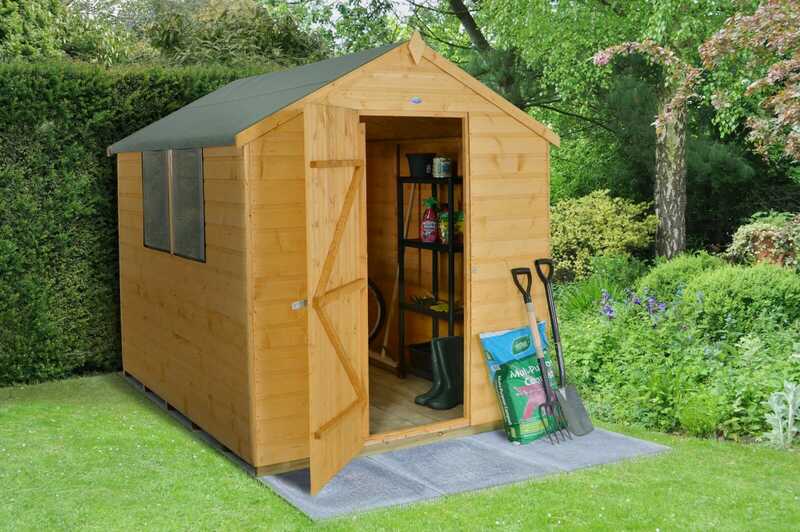 If you are thinking of investing in a new garden shed, don’t be overwhelmed by the choice and range of prices. The cheapest option is invariably not the best. Garden shed specialist, Forest Garden, has put together a handy guide to selecting the right shed for you. Check all of the dimensions, not just the footprint. Look at how high the eaves are, as this will dictate how usable the shed is going to be. Ideally you will want to be able to stand up comfortably and a difference of just 10cm can be significant. Look at the finish of the timber. Cheaper sheds often come in a dip-treated finish, but this is a lot less rot resistance than a pressure treated shed, meaning that you will end up spending more money in the future to keep it water tight and stable. OSB sheet flooring is a less expensive option than solid timber boarded floors, but it is nowhere near as strong, meaning that it will not last as long and has a lower load bearing capacity. Door construction is another consideration. A door with horizontal ledges and diagonal braces will be stronger than one with just horizontal ledges, which can result in the door dropping. Look at the framing of the shed. Higher quality sheds will have frames all round each wall panel which adds stability. The lower frame rail can sometimes be omitted as a cost cutting exercise. The panel construction is another consideration. Look for cladding boards that are nailed to the framework rather than stapled. Staples are prone to rusting and failing.